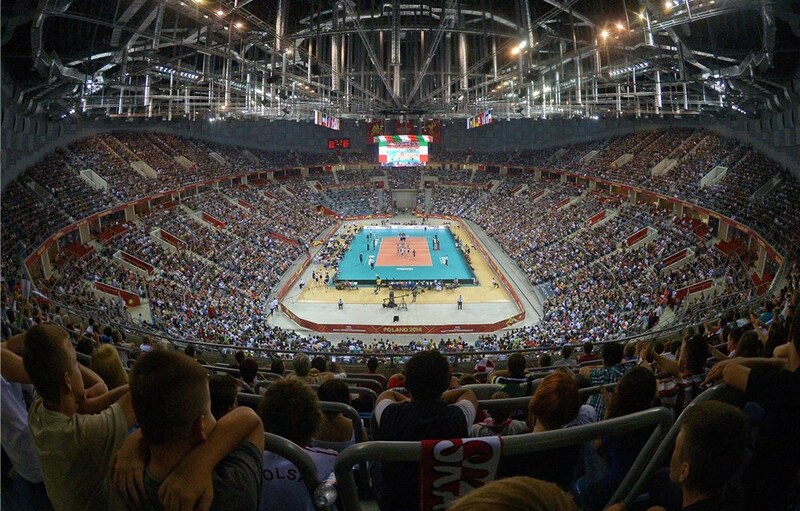 At the 2018 Women’s World Championships in Japan, the FIVB has announced the six cities that will play host to the event that will take place from September 29 to October 20. Locations include Yokohama, Sapporo, Kobe, Hamamatsu, Nagoya and Osaka with the finals taking place in Yokohama. The first round of play will feature 24 teams from September 19 to October 4 that will be split into four groups of six teams. The second round will have two groups of eight teams from October 7-11 while the third round will have two groups of three teams from October 14-16. The final days of the competition will be played in Yokohama from October 19-20 with the match taking place at Yokohama Arena. 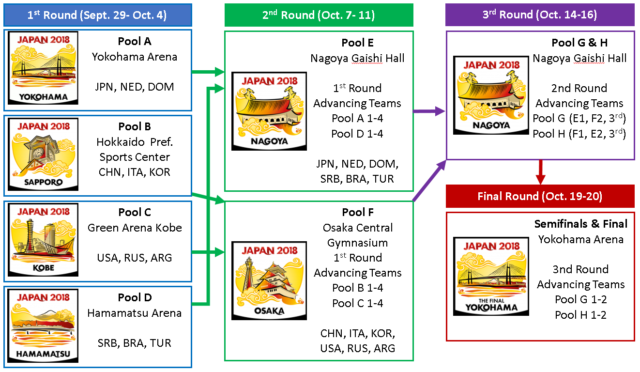 In the previous edition of the event, Team USA took the title, earning an automatic bid to the tournament along with Japan as the hosts. With Team USA doing some rebuilding by bringing in some younger players to fill in some vacancies on the squad, they will have to figure out the balance of veteran to rookie players to be successful. China has a strong returning squad that has meshed well, winning the 2016 Rio Olympic Games, while also having volleyball prodigy, Zhu Ting leading the team. Out of Europe, Serbia will be a tough contender for opponents, while Russia, the Netherlands and Italy will also put up decent fights in the World Championships. Brazil will make a strong appearance as they have a solid base and potential youth that could make an impact for the Brazilian team.